Landon Porter understands sales, and he recently spoke to Gabe about the path that led him to his current gig, teaching others how to hone their sales skills. 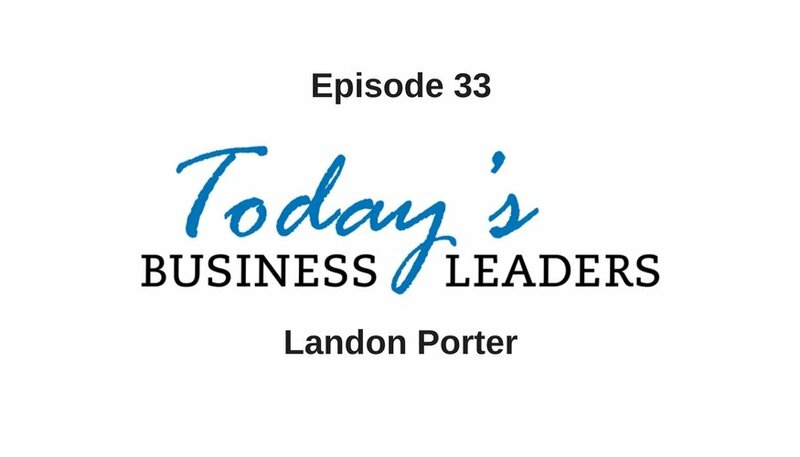 In this installment of Today’s Business Leaders, find out Landon’s philosophy on sales and what he deems the most important skill when it comes to closing a sale. In 7th grade, Landon began selling candy to classmates for a profit. From there, his sales journey took some detours. He apprenticed with several chefs and made the jarring transition from chef to sales and landed in the real estate industry. With the bubble burst looming, Landon switched career paths again and began selling B2B asset protection. Things were good in theory, but in practice, Landon was miserable, and he knew it was time for another change. Through several turns of events, Landon found himself teaching a course on how to get clients then launched his business, The Sales Gorilla. He laid out his thoughts about sales and marketing. Landon explains, “You need to know exactly who your perfect prospect is, exactly what they want and exactly how to deliver that to them.” He found some people really connected with what he was saying, but others just didn’t get it. Eventually, Landon realized he needed to take his own advice and put people interested in his program and Facebook group through a sale process or relationship funnel in order to create strategic partnerships. Reach out to Landon via email, Facebook, or his website. Catch up on earlier episodes and find out more about Gabe’s company Business Marketing Engine, and the solutions available.